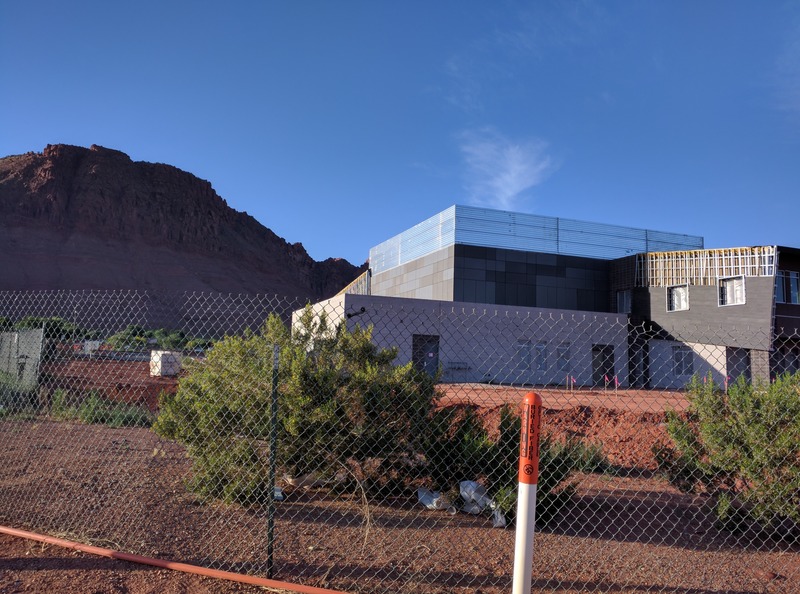 IVINS — As Southern Utah’s first medical school nears completion in Ivins, city officials are looking to accommodate the new influx of students by discussing an option that would allow the rental of spare rooms and casitas in private homes. 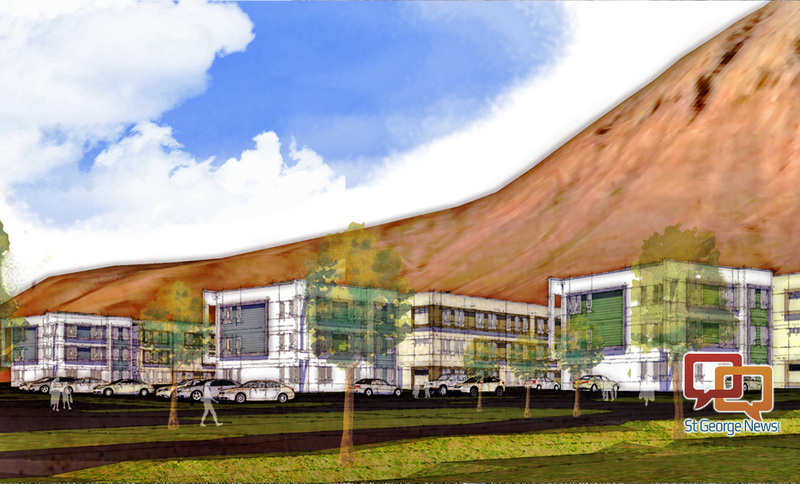 The Rocky Vista University College of Osteopathic Medicine is on track for completion this summer and students are expected to begin moving to the area in July. The school is doing its own part to provide housing with the construction of student dormitories, but it has asked the city to help make up any difference. Council member Ron Densley is heading the effort to see that any shortfall in housing is made up within the city itself. “We’re looking for students that will be here during the semesters … where they could, you know, work on their degrees and still be able to enjoy the city and not go to St. George and other areas and be part of our community,” Densley said. The city lacks any kind of subsidized housing and someone looking to rent within the city faces steep rates likely prohibitive to a student’s income. Current, city code prohibits the rental of rooms, basements or casitas in single family homes. “There’s some of it going on with rooms, basements and casitas,” City Manager and Attorney Dale Coulam said, acknowledging that such rentals are already taking place in some homes. “Technically, they may be violating the law as we currently have it. So, the question is, do we want to relax it? And what do you want your standard to be?” he asked. Some complications currently stand in the way of allowing such rentals. Previously, homeowners were issued deeds with restriction regarding rentals, and all of those deeds would need to be amended to be allowed to rent out rooms. “This would be complicated. It’s sort of a can of worms because we’ve gone to great lengths to define where short term rentals can occur,” Ivins Mayor Chris Hart said. Any changes in the code would apply only to long term rentals, which typically carry their own stipulations regarding tenant amenities. There was also some disagreement within the council as to whether such rentals were entirely necessary to accommodate the housing needs of students. “I think the market will drive this … I don’t know that we have to get involved,” council member Stephen Roberts said. Roberts suggested that apartments could be built in response to the increasing student population. Alternatively, council member Dennis Mehr said other nearby communities may also help provide housing. However, council member Cheyne McDonald said he believes allowing such rentals is an inevitability that the city should look into sooner than later. “I think it would be wise to be ahead of the curve,” McDonald said. The council agreed to turn the matter over to the city Planning Commission for further research and consideration. Wasn’t aware one could not rent a room out of their own home. What the hell. Most of the formally defined subdivisions have recorded CC&Rs that guide the use of properties by their owners. Many would allow long term rentals, in lieu of full-time owner occupancy, but such things as limiting the overnight parking of cars on the street, etc. are usually tightly restricted. If an owner can abide by the terms of the CC&Rs and still rent out a casita, or spare room, what difference does that make, as long as they do not violate their CC&Rs? The city could make the situation easier by removing city-specific limitations on occupancy, but their actions would not overrule the CC&Rs that have been in force for most subdivisions. It seems like we have been through a similar debate when it comes to short-term rentals thru VRBO, or AirBnB. I am sure most, if not all, subdivisions have there own rules related to restricting short-term rentals. This is not about short but rather the longer term ( students are often 9 months ) . It is odd that someone can have relatives move in long term for free but not a paying person like a student . Seems like this should have been considered when Rocky Vista first came to the City of Ivins with their request to build the school. Major oversight on the part of Ivins leaders that they didn’t see this coming and are now trying to figure out how to fix it by changing Ivins’ laws. I listened to the meeting audio and one on the council said that Rocky Vista has decided not to build one of their planned buildings – now that they’ve cleared the entire property, which they were not supposed to do but apparently no one at the city was watching that either. Now, they’re short of housing, apparently. When this project came before the city, concerns were expressed about the traffic it would load onto Center Street, too, and those were blown off by the leaders who were salivating over getting this school. It remains to be seen how that will pan out also. These folks seem to get in over their heads at times. They’re smart people but they see things through rose-colored glasses and then seem so amazed when their decisions just land more problems in their laps.